Ever wondered how to get the perfect smoky eye? Avon has the answer. Jillian Dempsey, Avon's color director, has created the Perfect Eyes Kit. 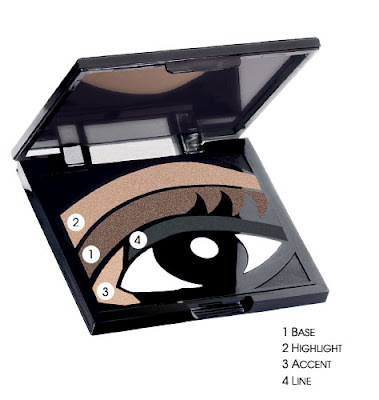 A compact shaped like your eye with the shadows located exactly where you'll apply them. The palettes come in four shades, with four colors per palette. Cinnamon Toast, Deep Purple, Smoky Eye and Aqua. Make sure to blend each color after applying for a dimensional, polished look. Visit Avon's website now to buy these kits on sale.